Cyberbullying has become of increasing concern as more and more heartbreaking stories of bullying and teenage suicide sweep the nation. Fortunately, these types of tragedies can be prevented through education, which means that teachers are uniquely equipped to raise awareness of the dangers of cyberbullying. Access to helpful resources is crucial to the ability of educators and schools to create the curriculum and school-wide policies that are required to forestall cyberbullying and its potentially devastating consequences. This organization, although based in Canada, provides information and teaching materials that can be utilized by teachers all across North America. The site provides resources for both teachers and parents as well as explanations of the legal consequences of cyberbullying and strategies for preventing it and responding to it. The organization also provides regularly updated research on recent news stories and legal cases related to cyberbullying. 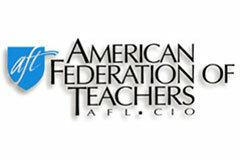 The American Federation of Teachers was established in 1916 and has evolved into a union of professional educators that are focused on providing high-quality public education through community engagement, political activism, and collective bargaining. The organization also provides access to classroom activities, book lists, and other resources aimed at preventing cyberbullying and promoting online safety through education. CyberBullyHelp is another well-known organization focused on cyberbullying prevention that has been featured in the Washington Post, Slate, and TIME. The organization’s main page provides a number of links to free online trainings and videos for both teachers and parents as well as lesson plans that are tailored specifically to certain grades and age groups. Although cyberbullying primarily occurs outside of the school setting, it has a substantial impact on school performance. For this reason, teachers are uniquely positioned to intervene before the bullying escalates even further. To this end, CyberBullyHelp also provides resources to help teachers recognize the signs of cyberbullying. The Ophelia Project is another organization dedicated to raising awareness about cyberbullying and addressing it through social change. The site provides lesson plans for Grades 6-9 and 10-12 that are uniquely designed to address the needs of those specific age groups. Generally, the project attempts to show teachers how to recognize aggressive behaviors, teach the language of peer aggression, emphasize positive norms, practice pro-social skills, and share what they know with other teachers, parents, and schools. This government-sponsored site is another helpful source for teachers in need of training materials, program directories, articles, and other resources that provide guidance on how to respond to, prevent, and report cyberbullying. The page also provides a number of links to sources explaining the warning signs and effects of cyberbullying. Education world was created specifically for educators and helps teachers develop classroom action plans and curriculum to prevent and address cyberbullying. The page also provides access to message boards and online discussion groups for teachers with questions and concerns about their own experiences with and approaches to cyberbullying. The NEA offers a variety of lesson plans, classroom management strategies, activities, and book lists that can help parents and teachers take steps to prevent cyberbullying at home and in the classroom. The site also provides access to a number of background resources on school violence and other bullying-related issues that can help teachers more carefully craft their curriculum to a class’s specific needs. The Learning Network is sponsored by the New York Times and posts articles and blog posts related to bullying and cyberbullying. The page also provides links to a number of lesson plans and teaching materials that can help teachers create a plan for discussing bullying, discriminatory attitudes, sexual harassment, violence, and teen depression. The Learning Network also gives teenagers a space to anonymously answer questions about their experiences with cyberbullying and to suggest solutions for addressing peer pressure. This input provides educators with a unique perspective that can help them draft more effective teaching strategies. Edutopia is a resource provided by the George Lucas Educational Foundation that provides educators and parents with information about helpful websites, lesson plans, organizations, planning guides, and articles dedicated to harassment prevention. The site also maintains a list of resources that schools and districts can use when considering their own approaches to preventing and responding to cyberbullying, in addition to reports and studies on suicide warning signs. This site provides teachers with a list of reliable organizations that provide helpful resources, including: bullying prevention lesson plans, support groups, anti-bullying trainings, and teacher media resources. The page also gives specific advice on creating bullying worksheets and effective powerpoint displays, in addition to ideas for school-wide assemblies. Although nobullying.com does provide information about cyberbullying, it is also dedicated to raising awareness about and helping teachers address child abuse and sexual harassment. Although this site is sponsored by the Australian government, it includes information about cyberbullying that is applicable worldwide. The page suggests tips for identifying bullying victims and how to respond to cyberbullying, while also providing access to educational resource materials for different age groups and strategies for implementing school-wide anti-bullying policies. A Kids Helpline also provides children ages 5-25 access to free and confidential online and phone counseling on a 24 hours a day, seven days a week basis. This website provides up-to-date research, news, and information on cyberbullying, as well as access to outreach programs, workshops, and educational materials. The project also partners with other organizations to raise awareness of the dangers of cyberbullying. Users are directed to one of a number of different organizations that are dedicated to identifying and preventing cyberbullying, including: The Cyberbullying Research Center, The National Crime Prevention Center, and the Anti-defamation League.